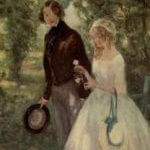 It has been said that Dickens is not generally successful in drawing female characters and that his men are as a rule better painted than his women.Let us examine how well he portrayed women in David Copperfield. It is true that many of his women characters are strained and artificial. “The tragedy of love, the tragedy of pitiful passions, of futile affections, the tragedy of Juliet(in Shakespeare’s Romeo and Juliet) or of Tess (in Hardy’s Tess of the D’urbervilles) is outside his range altogether” (Compton-Rickett). Dickens was too little of psychologist to paint such women with great art. A beautiful woman, without a heart is a common character in many of his novels but in Dickens’ handling of them they appear devoid of any semblance to life. They fail to impress us as creatures of flesh and blood. 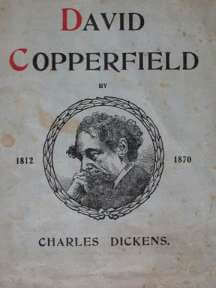 His other beautiful young women in David Copperfield too fail to impress us. To quote Maugham again, “Dora, drawn after Dickens’s first love (Maria Beadnell) is too silly and too childish; Agnes drawn after Catherine Hogarth is too good and too sensible; they are both fearfully tiresome. Little Emily seems to me a failure. Dickens evidently meant us to feel pity for her; she only got what she asked for. Her ambition was to be a ‘lady’ and in the hope, presumably that she would get Steerforth to marry her, she ran away with him. She seems to have made to him a most satisfactory mistress, sullen, tearful and sorry for herself and it is no wonder that he grew tired of her”. Thus Dickens failed in delineating beautiful young women; his pictures of them are vitiated by sentimentalism or moral prejudice as the case may be. But, as Compton-Rickett has pointed out: “With another type of woman Dickens is far more successful. 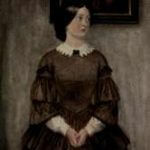 With women past their first youth, who are eccentric in their ways, who have little or no physical charm, and often no mental brilliance, yet who have a certain soundness and goodness of heart; with women of this type Dickens is extraordinarily happy.” Betsey Trotwood, Mrs. Micawber, Miss Peggotty and Clara Copperfield are noteworthy examples of this in the novel David Copperfield. Betsey Trotwood is easily first; indeed she ranks among one of Dickens’ unqualified successes; and from the moment she administers the strange mixture of restoratives to her young nephew (“I am sure I tasted linseed water, anchovy sauce and salad dressing”) to her kindly hints to David about Agnes, almost at the end of the book, she attracts us to her; what a dear golden-hearted old lady she must have made, her little peculiarities and occasional acerbity giving an agreeable fillip to her sterling qualities. 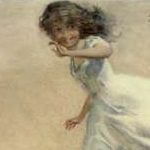 Long may her type exist to sweeten human life and to help the many Dicks-float about the world!” Betsey Trotwood is indeed an immortal creation of Dickens, who is remembered by every reader of the novel David Copperfield, even after he has long forgotten the story in which she appears. Mrs. Micawber, too, with her grim determination of not to desert the husband through trials and sufferings of life, with her robust faith in the genius of the husband, which no failure of the husband can repress, her motherly affection for Dickens when he becomes a lodger with her, is a sweet and amiable lady, despite her eccentricities. She is a mother image that the motherless young storyteller loves to dwell upon. Peggotty, the nurse of the child David, who loves the young master with such devotion as to spend her whole life in his service is another such sweet creation. She too represents a mother-image and is an idealized picture of Mary Weller, the servant of the Dickens’ family in the Chatham days. Her devotion and affection are exemplary. 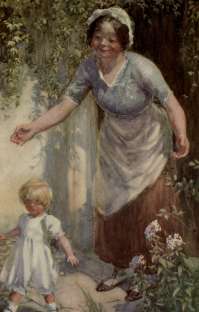 “She is the hard working mother who presides over the kitchen and pantry, bakes the pastries, mends the clothes from a bright-lidded sewing box and has such puzzling alterations of crossness and affection. Although she is not as idealized as the dream mother of infancy (Clara), she is more firmly set in a reality that will not altogether melt away with the years. Lastly, there is the figure Clara Copperfield, the mother of David Copperfield and the idealized dream-mother of infancy of the novelist. The pen with which he draws the character of Clara is dipped in his heart’s blood. 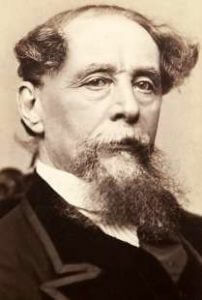 Dickens had no happy impression of his own parents. Quite early in life he was cast adrift in a hostile world to fend for himself, with his father and mother looking helplessly at him. Hence Dickens’ dream-mother is an idealized version of his own mother. Clara loves the child David Copperfield with all the warmth of her affection. Indeed, the boy is the centre of her world. The young widow finds herself in an awkward position being torn between two pulls, between her affection for the child David and devotion to her new husband. This cost her dearly, so that inwardly she was gradually sinking. The picture of the mother is bathed in soft pathos and tenderness. Child David loses his mother the moment he realizes that he is not the centre of her world. The death of the mother leaves a blank in David’s life, and he is sent to work in blacking warehouse of Murdstone and Grinby. Dickens’ own feeling that his mother was as good dead to him when she was so keen on sending him to misery of the blacking house is painted in a veiled fashion in these feelings of David Copperfield. Thus we find that these pictures of women are based on reality though there is a touch of idealism in their delineation and as such they impress us as persons whom we have not met in real life. 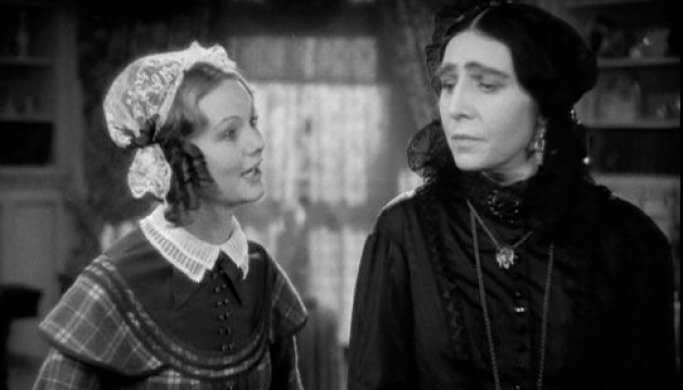 Thus in portraying some women Dickens did idealize in some way or other. That is a part of his method. But that he has done it to an inartistic extent, so that they appear unusual or unreal cannot be admitted. “Taken, as a whole, then, we must pronounce Dickens’ women characters as ineffective, except when they are either eccentric or disagreeable” (Compton-Rickett).